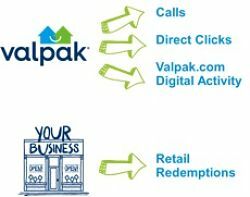 This Valpak franchise in The Triangle – Raleigh Durham, Chapel Hill, NC covers the territory of Durham, Orange and Wake Counties. The asking price includes the Franchise and Training fee of $15,000 which includes New Franchise Owner Training, VPOffice® Training, attendance to 1st Coupon U annual conference, New Franchise Owner Kit, Ongoing consultation with Sales Coach and miscellaneous first year training and support. In addition $25,000 of initial investment will be credited back in the form of plant bill credits after 12 consecutive months of on-time payments.This business currently mails 250,000 out of potential 320,000 prime house holds. showing a huge potential that can be achieved by the new buyer. 3rd party financing options available.